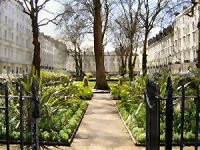 Transport Paddington underground and railway station is 2 minutes walk. Plenty of buses incl. nos 36, 36A, 7, 15, 23, 27. By road, M40 and M4. Only 15 minutes from Heathrow Airport to Paddington Station with the Heathrow Express train! Metered parking is available outside the hotel and the nearest car park is at Paddington Station which is within good walking distance. 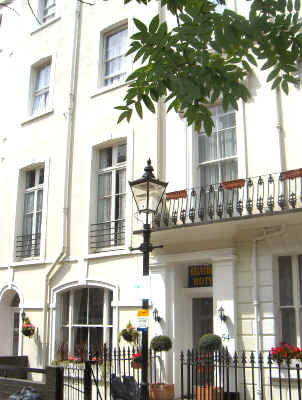 Description This popular family hotel is centrally situated in a residential square close to Hyde Park in central London. It comprises 30 bedrooms and providing multi type rooms from single rooms to family rooms Shared and private bathrooms available. 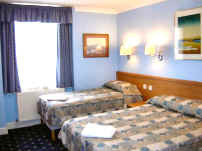 The hotel also has family rooms for 5 persons with a combination of bed types. Please contact us for a special price. Please note that the above rates are per room per night and include English breakfast and Vat tax. No advance payment is required. You only pay the hotel when you are in London. You may cancel up to 72 hours before your date of arrival and there is no charge. If you cancel after this time, you will be charged for the first night's stay. Hotel's comments The Belvedere Hotel is a small family run hotel offering bed and breakfast. 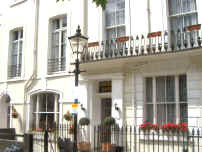 Built originally in the 1850's - this elegant Victorian listed building is ideally situated within a minute's walk from Paddington train and underground station, therefore all the top attractions are in very easy reach of our hotel. 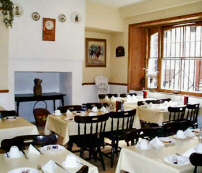 The hotel offers a 24-hour front desk service. All our staff is dedicated to providing a welcome and friendly atmosphere and is willing to assist in organizing sightseeing tours of London. Not only are all the hotel facilities of a high standard, but in addition the Belvedere overlooks onto a picturesque landscape square. 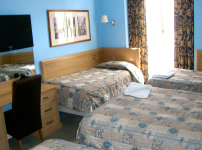 The Belvedere Hotel has well appointed bedrooms, tastefully decorated offering clean, warm and comfortable surroundings. Guest rooms are equipped with a range of amenities including full facility bathrooms, hairdryer, colour television, direct dial telephone, tea and coffee making facilities, towels and linen, cot if required for smaller guests and a 24-hour reception. Breakfast is served in a bright and cheerful dining room on your table. Our hearty breakfast is the best way to start the day! 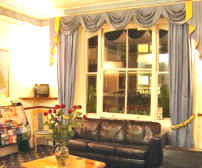 Our Comments This popular family bed and breakfast hotel provides comfortable accommodation in a central location at an affordable rate.